The 330 GPH Pond Pump with Nozzle Kit promotes a healthy ecological balance in your pond by keeping the water circulated, while the nozzle kit provides additional aeration. It pumps up to 330 gallons per hour with a maximum pumping height of 7.2 ft. Available at The Home Depot. 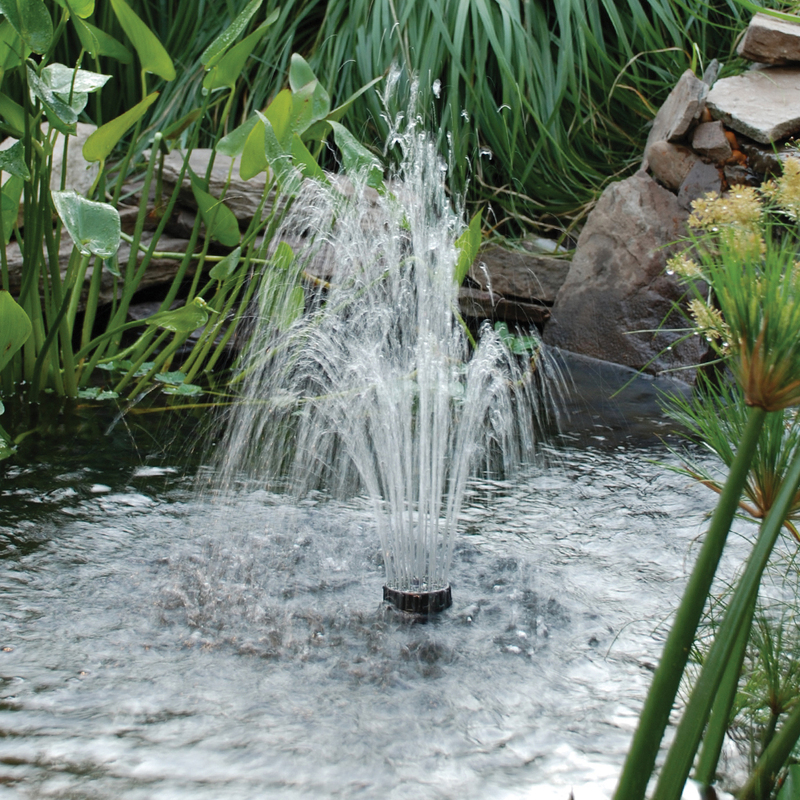 Enjoy the benefits of two products in one and design a stunning medium-sized pond! TotalPond’s 330 GPH Pond Pump with Nozzle Kit features an energy-efficient pond pump that promotes a healthy ecological balance in your pond by keeping the water circulated, and a nozzle kit that provides additional aeration. 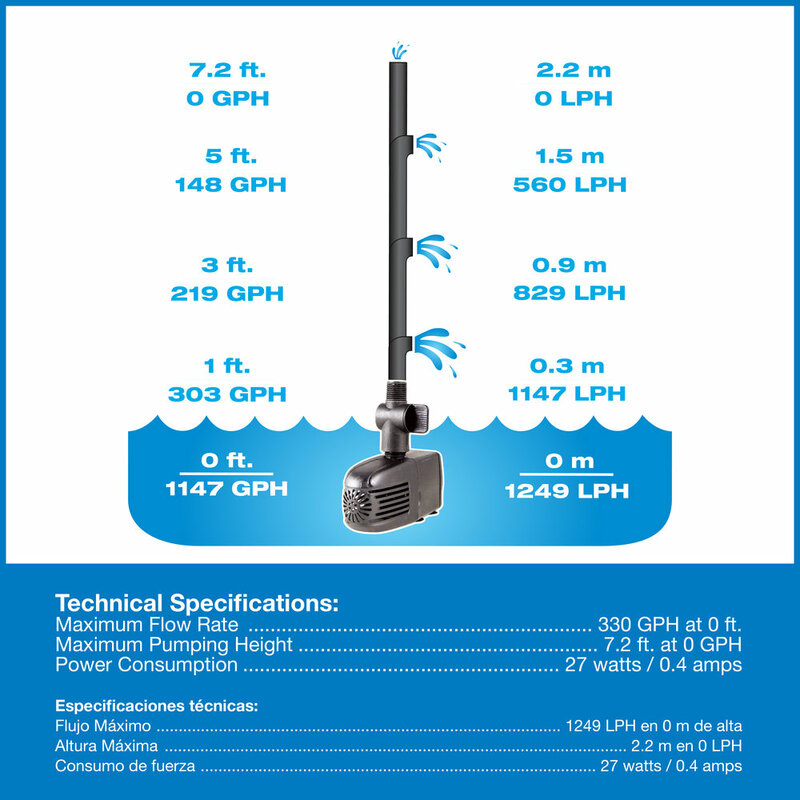 It pumps up to 330 gallons per hour with a maximum pumping height of 7.2 ft. The 330 GPH Pond Pump with Nozzle Kit includes a 330 GPH pond pump, 4 nozzle head options, a diverter valve for running multiple water features, adaptors for optional pump outlets, and 2 extension tubes with connector. We recommend its use in fresh water temperatures ranging from 41°F to 86°F. TotalPond pumps are not recommended for use in heavily chlorinated water or water with high pH levels. 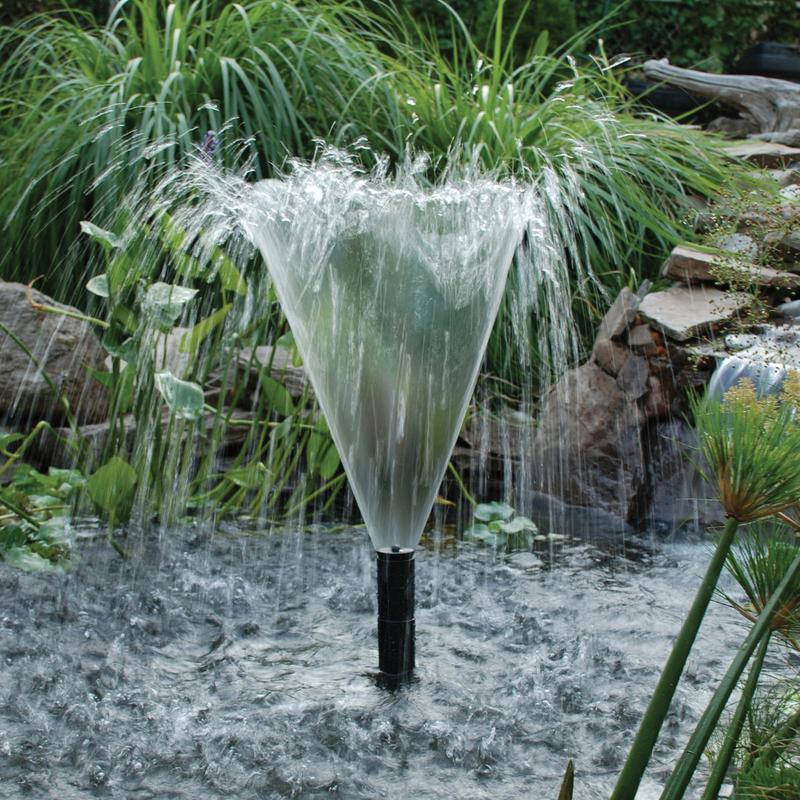 The 330 GPH Pond Pump with Nozzle Kit is ideal for creating eye-catching displays and circulating water in medium ponds (6 x 9 x 1.5 ft. deep or smaller). With a maximum pumping height of 7.2 ft., this energy-efficient pump helps circulate 330 gallons of water per hour. Includes a 330 GPH pond pump, 4 nozzle head options, a diverter valve for running multiple water features, adaptors ¾ in. pump outlets, and 2 extension tubes with connector. All TotalPond Pond Pumps include an adaptor with a built-in adjustable flow control to fine-tune the flow rate. The high-quality pump utilizes premium ceramic shafts and bearings for maximum efficiency and durability. Pump’s design allows for simple and quick access to all moving parts, no tools necessary. This UL listed pump is safe for fish and plants.